- The Sound Platform works with any smart devices with Bluetooth which makes it easy to share in a multidevice, multi-user household and compatible with future devices. 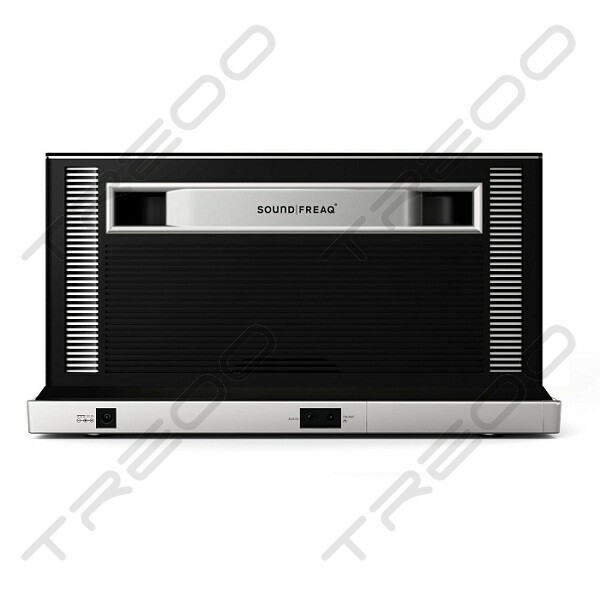 - With built-in Bluetooth capability, you can stream audio directly to the Soundfreaq SFQ-01 Sound Platform without missing a beat;letting you keep your device exactly where you want it – in your hand. 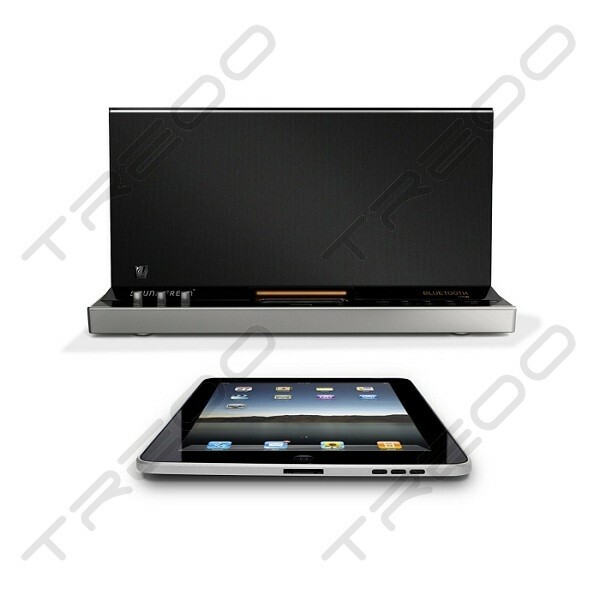 - Not only does the Sound Platform bring music to life, it plays any audio from your iPad and smart mobile devices. 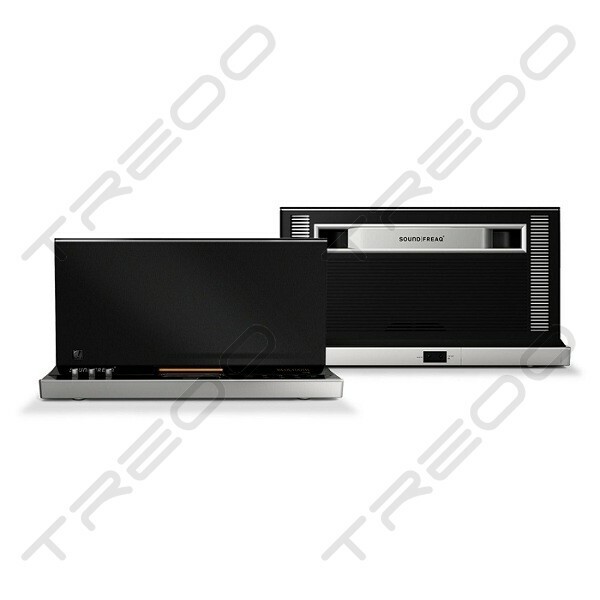 Soundfreaq delivers a crystal clear audio experience. - With custom-engineered and Kevlar-reinforced balanced drivers, acoustically tuned dual-port chamber and UQ3 spatial enhancement processor, Soundfreaq delivers big sound with a small footprint. No longer do you need to dock your smart device just to play music. Soundfreaq's Sound Platform lets you stream all of your audio wirelessly with Bluetooth, so you can keep multi-tasking with your device. Now you can play your music and continue to write emails and texts, browse the web, play games and use apps all while you keep your device exactly where it belongs - at your fingertips. 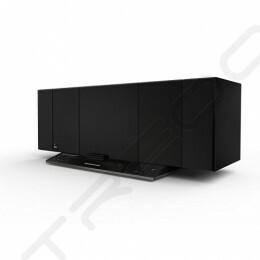 Sound Platform is designed to fit in any room and fill it with exceptional acoustics. With four ways to play— Bluetooth, iPod dock, Aux In and FM Radio*— Sound Platform gives you more options to listen to your audio than any other home speaker. Designed for music lovers, Sound Platform is acoustically balanced to complement every genre, at any volume. Meticulously engineered, Sound Platform is crafted for natural bass response, vocal clarity and full stereo separation to fill any room with exceptional acoustics. With custom-engineered and Kevlar-reinforced balanced drivers, acoustically tuned dual-port chamber and UQ3 spatial enhancement processor, Soundfreaq's Sound Platform delivers big sound with a small footprint. Sound Platform works with Bluetooth— the wireless standard for mobile devices— and makes it incredibly easy to share and enjoy in a multi-device, multi-user household. Bluetooth technology is now a universal standard and ensures that Sound Platform is compatible with your devices today as well as tomorrow. Pairing your device with Sound Platform is a snap; no passwords or complicated instructions means you can start enjoying exceptional sound immediately. It contains an Apple 30-Pin Connector Universal Well that supports playback and charging for iPhone and docking iPod devices. There is also an FM Stereo Radio with external antennae and an Aux-in 3.5mm line in jack that accepts input from any device with a standard headphone jack. 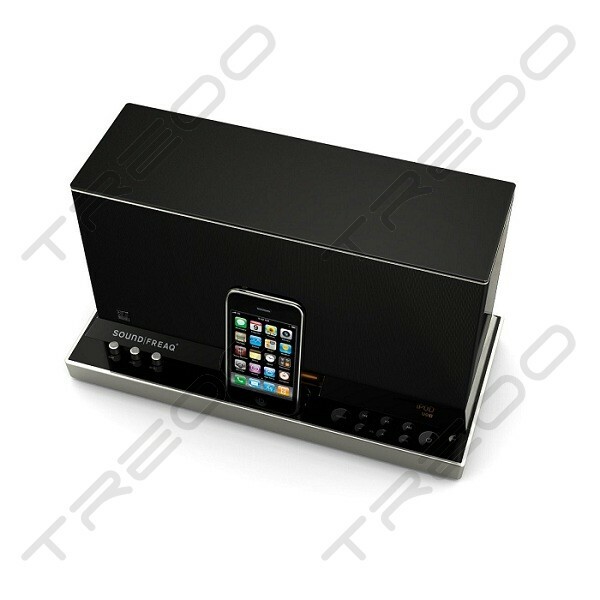 Every aspect of Sound Platform was carefully conceived both inside and out including such design details as Accent lighting, remote control with magnetic backing, and an Apple dock cover. 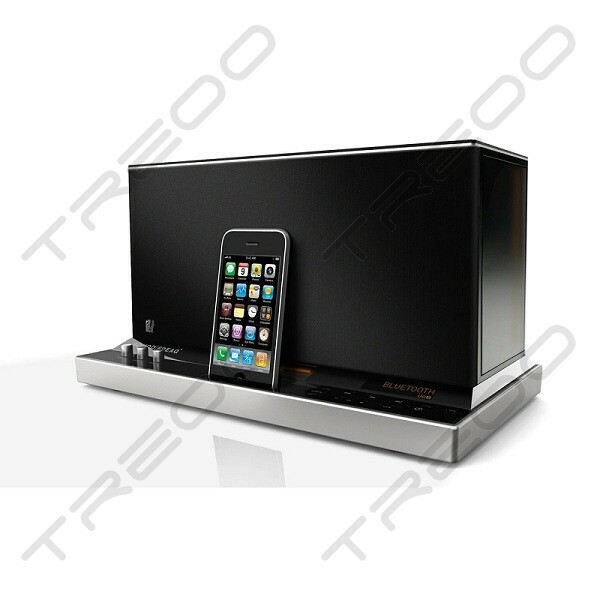 Sound Platform's sleek, modern design and hint of retro influence allows it to fit seamlessly into any home décor. With your device in hand, enjoy listening to audio with thousands of great music, Internet radio, entertainment and game apps (Pandora, YouTube, Netflix, HBO GO, etc). 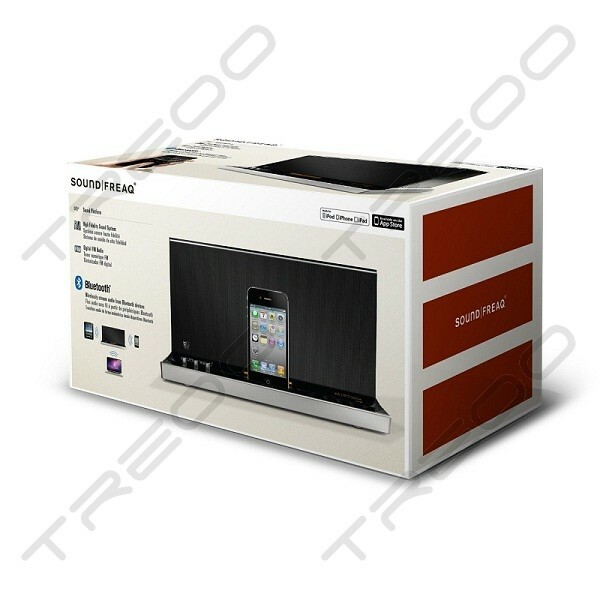 Additionally, the companion Soundfreaq remote app turns your iPad, iPhone or iPod touch into the ultimate remote control. 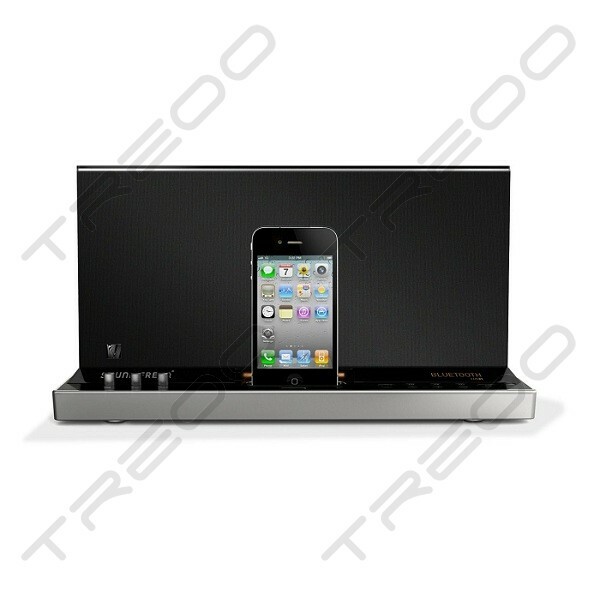 Users control what is playing from the speakers via their device, while enjoying the freedom to multi-task. But you don't need the app to enjoy Sound Platform. 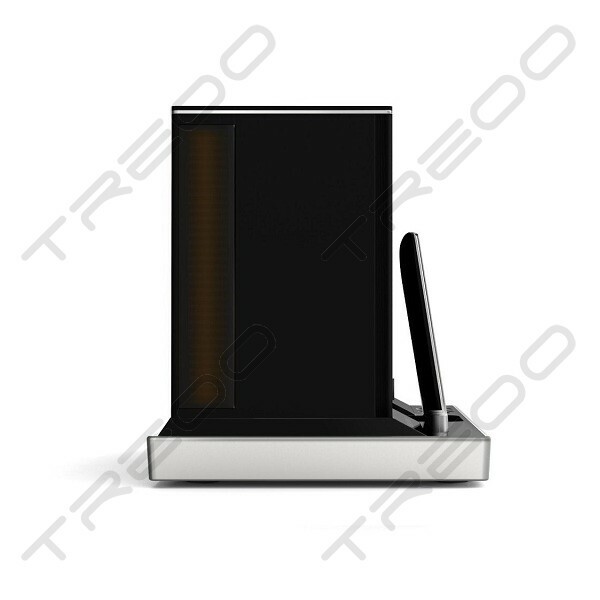 And should your device be docked, there is a handy remote control that fits conveniently in a hidden compartment.